New Mercedes-Benz A-Class vs Audi A3 Sportback vs BMW 1 Series | What Car? Space abounds up front in each of this trio. The 1 Series and A-Class are matched to the millimetre for leg room, although you won’t feel cheated in the A3 either, and all offer broadly similar, respectable amounts of head room. The wider A-Class has the most room for your elbows, but not by much, and all three provide enough cubbyholes for odds and sods. Our regimented method of measuring cars for the purposes of consistency suggests the 1 Series has the most rear leg room. But anyone sitting in the front of that car will want to slide their seat back farther than in the A-Class and A3 to comfortably operate the clutch and accelerator pedals. The result? 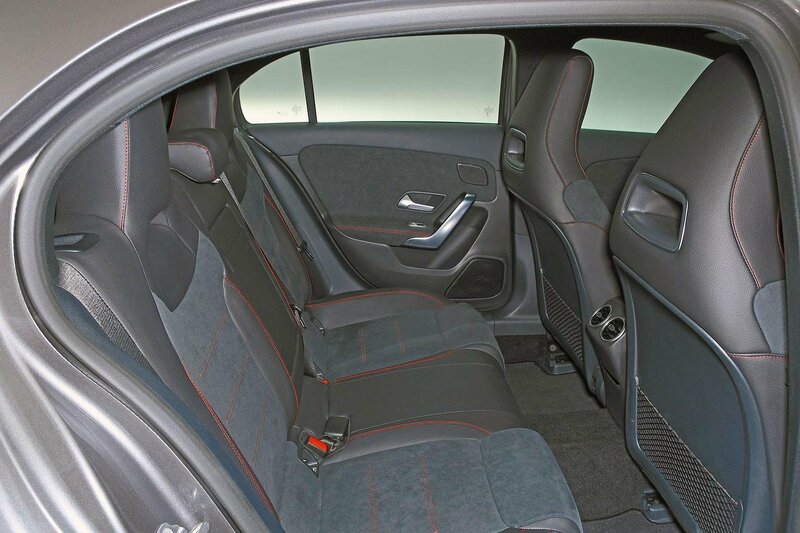 The 1 Series is actually the tightest for rear knee room and, by a fraction, head room, too. The A3 and A-Class seat six-footers in the rear with relative ease, but again, the tape measure seeks to deceive. 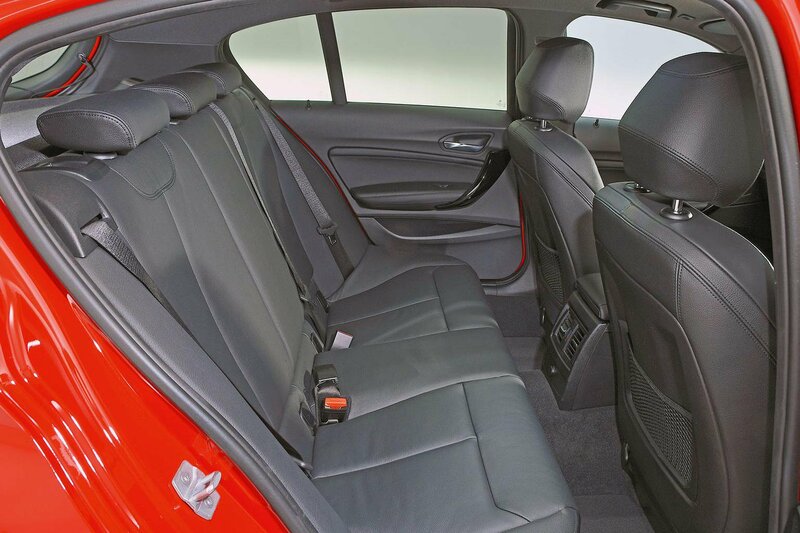 Like the 1 Series, the A3 relies on restrictive slots in the front seatbacks to eke out a slight leg room advantage, whereas the A-Class has a more open space for your knees, so it’s more comfortable in practice. Rear head room is marginally better in the A-Class as well, so it’s the most agreeable for two people. 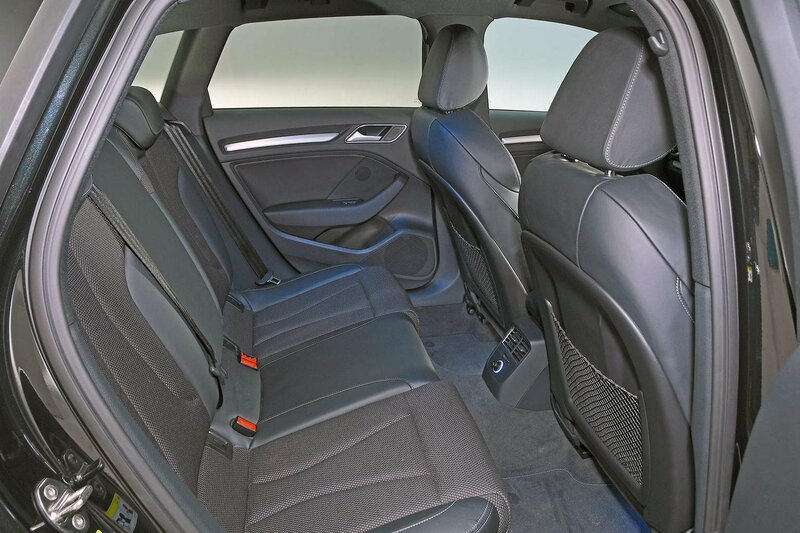 However, the A3 edges it if you add a third person back there; its flatter-sided seat cushions give it a bit more shoulder room. Meanwhile, the 1 Series is the most cramped for three in the rear. 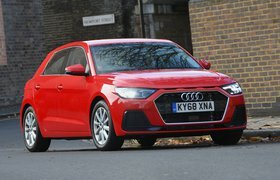 The A3 is the only one with a height-adjustable boot floor – provided you don’t opt for four-wheel drive or the upgraded B&O stereo, either of which deletes this feature. In its highest setting, it creates a separate underfloor compartment. In its lowest setting, the A3 has the tallest boot of the three. As a result, it holds six carry-on suitcases fairly easily. The A-Class can also swallow six cases, but at a push, while the 1 Series can manage no more than five. All three come with 60/40 split-folding sear seats, which drop to leave a largely flat floor. 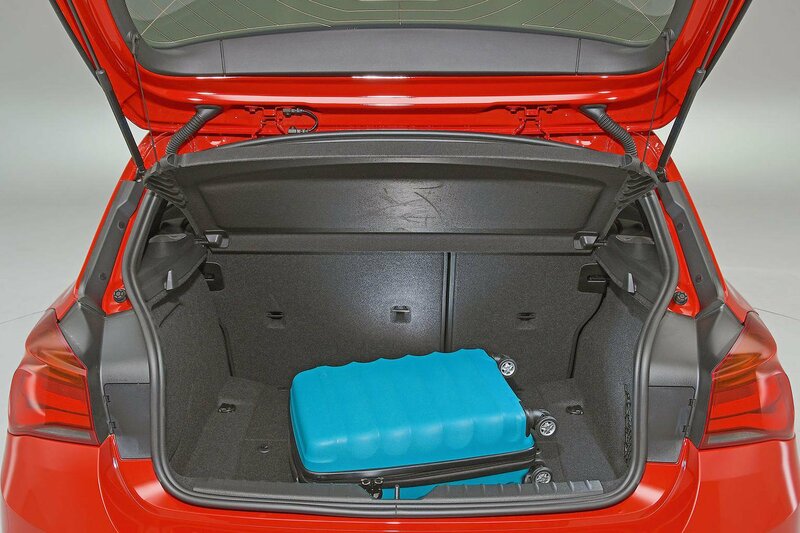 Dropping the height-adjustable boot ¬floor to its lower level creates the deepest load bay here, capable of taking six cases easily, with the lowest lip for easiest loading. 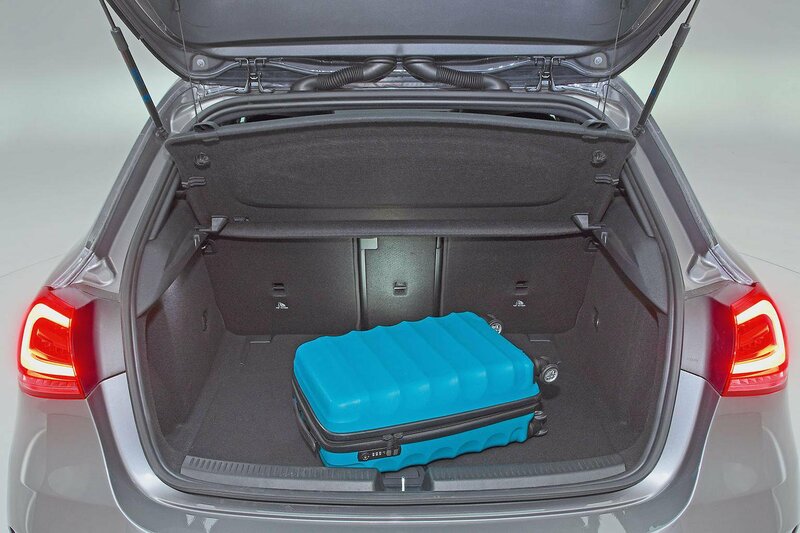 The 1 Series’ boot has the narrowest aperture and the biggest drop down to the floor, making the loading of bulky items harder. It’s also the smallest of the three. 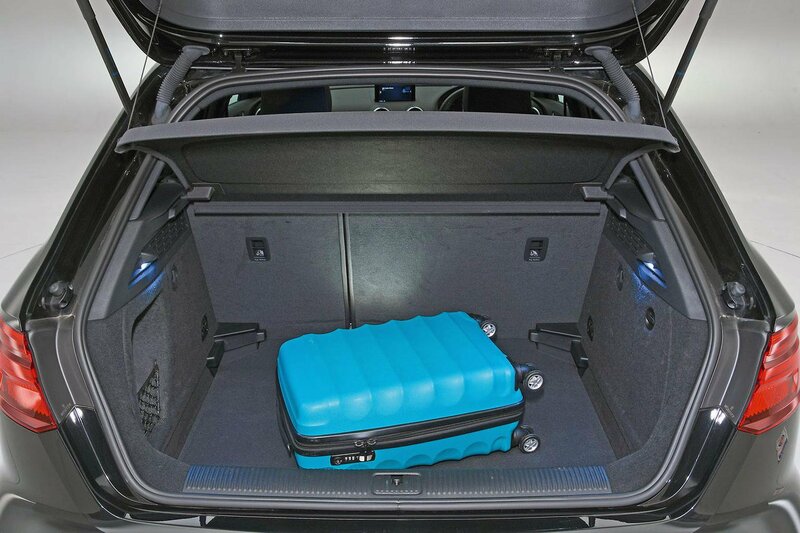 A-Class’s boot is a usefully square shape, but there’s no height-adjustable floor option. Rear seatbacks split 60/40 on UK cars, not 40/20/40 as shown here.